So i heard your cracking chest summary- the East and West guidelines. Did i hear correctly that in the East guidelines they recommend thoractomy on all penetrating chest wounds without a pulse despite no signs of life and regardless of time of cpr? That sounds nuts!. I had a guy last night with a 223 round to the chest with 45 minutes cpr at least (long transport). He arrived with no SOL. would they really have advised opening his chest? He had no cardiac activity or tamponade. Used the modified valsava manoeuvre over here in Ireland a couple of weeks back. Worked a treat. Nurses thought i was nuts. Though make sure someone is standing at the head of the bed - my patient very nearly hit the deck when, after raising his legs, the trolley near flipped! Have used the Modified Valsalva 4 times in the last couple of months. I had nearly given up on even trying the regular Valsalva because it practically never worked. I don't believe I will continue to have these numbers, but I am 3 successes out of 4 attempts. At first most of my docs thought I was crazy but now I have some converts. I listened with grade interest to the amiodarone segment and wanted to share my own experience with EM RAP. Those of you who get easily bored by rambling doctors from parts unknown should stop reading NOW. The patient was in her mid 50's and was put on amiodarone by her cardiologist for a fib rate control. She had been on it for a few years without incident until a cold day in December when she presented to my family practice with the complaint: "Doc, I can't breathe". Now, I work emerg as well and one of the phrases I've learned to tune out over the years is "I can't breathe." For one thing, if you really couldn't, then you also couldn't be telling me about it. For another, everyone says it. All the folks with coughs and colds start off with "I can't breathe" or "I'm having trouble breathing" while they clearly are just talking about a runny nose or some wheezing from their bronchitis. So when this patients said that, alarm bells didn't go off in my head. She had no fever, a mild cough, no sputum, mild chest tightness, no worrisome symptoms so I gave her an inhaler and told her to come back if it didn't work. She came back 3 months later (!!) and said "Doc, I don't know how else to say this! I can't breathe!" This time she really did look like she was huffing and puffing. I listened to her chest and heard diffuse crackles (!!) so I sent her for an urgent CXR. The result was faxed immediately to me: Diffuse interstitial markings suggestive of pulmonary fibrosis. I opened up her med list, saw "amiodarone" and thought: Ohhhhhhh nooooooooooooooo. I called the patient, told her to stop the amiodarone, switched her to diltiazem and got her an emergency appointment with her cardiologist in a few days. Sadly, despite involvement from cardiology and radiology she declined over the next few years until finally passing from respiratory failure. So when a patient on amiodarone says "I can't breathe", trust me and get that CXR!!!!! My understanding of the available literature regarding c-spine clearance is as follows. In the age of high resolution CT the old concern for missing an unstable injury with a normal CT is virtually eliminated as long as two other criteria are met: the neurological exam is normal AND there is no significant underlying structural abnormality, namely degenerative disease of the cervical spine. Spinal stenosis greatly increases the risk of sustaining a cord contusion with sub-maximal degrees of neck excursion. Even then the damage is likely done, and the management question is decompression surgery and/or longterm immobilization. Residual tenderness on exam (the rationale for further testing according to the Em Rap discussion) is irrelevant. The practice of keeping patients with residual tenderness immobilized was based on the concern for missing an unstable ligamentous injury that was not evident on CT (a poor test for this). With current generation scanners a patient whose neck has been acutely deranged to a degree that a significant injury has been sustained will either have an abnormal CT or an abnormal neurological exam or both. In my practice, a patient who reports any neurological symptom during or after the injury (this includes paresthesias, numbness or weakness) warrants an MRI regardless of the CT results. I do this more to exclude a cord injury than to merely identify an occult ligamentous injury. Often paresthesias are caused by transient radicular compression. This isn’t particularly worrisome but clinically can be difficult to distinguish from an axial CNS injury. In the patient with none of these symptoms and a normal neuro exam who has a normal CT and no degenerative changes the work up is finished (no collar). In a patient with a normal exam, a CT that excludes bony injury but who has significant degenerative findings I always repeat the neuro exam before ultimately clearing the spine. This includes asking about subjective paresthesias, numbness or weakness, and if all are negative I usually feel comfortable clearing these patients. Re-evaluation of these patients is important, as symptoms of cord contusion often evolve over a course of several hours, consistent with the amount of time it takes to obtain their radiology results. As for clearing the c-spine in the obtunded patient (the original listener question) the evidence argues that you need to be able to perform a neurological exam of the extremities in order to do so rationally. 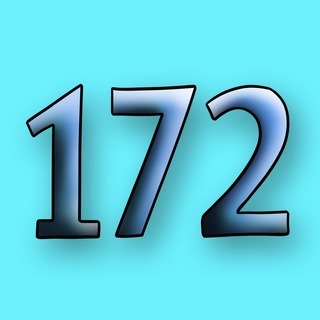 WHY is 172 not on the phone app?